Thanks to Instagram’s rising popularity, we have in a way, created a new title for something that people have been doing forever. We called it “influencers”. But really, this job has been around for years, just not exactly in the way we’ve seen it rise with the likes of social media. The one thing that influencers have been basing themselves on the most is their status within their community. They’re looked up to, but more importantly, they’re trusted by people who follow them. Why am I saying this and what does it have to do with your salon profile you may ask? Well, let’s look at it this way: a salon profile isn’t really about your marketing, but more about how you, as the salon owner, are perceived and known by your colleagues, competitors and clients. Is this starting to make any sense? Without becoming what we know today as an influencer, by working on your status of authority within your community and area, you’re doing exactly what influencers do best: boost brand visibility. And while for some salon owners this is a piece of cake, for others who prefer to step back from the limelight, encouraging people to gravitate towards their business can prove to be challenging. Shy or not, there are countless examples of both types of personalities being incredibly successful at building brands. However, without knowing where to start, things can seem a little intimidating, so let’s start by looking at are the benefits of putting effort into your salon profile. By thought leadership, I mean making yourself known as the expert you are. It’s not something we’re used to, to go around calling ourselves experts. The truth is though: that’s exactly what you are, and you should be proud of it! By making other people know you’re a trustworthy source of information, you’ll become the go-to in your area and the rest well… the rest is history! For more tips on salon success, click here. On a scale of 1 to 10, how hard do you find the recruiting process in your salon currently? Now let me ask you this: if say the likes of Mary Portas, Tabatha Coffey or any other well-respected individual in the hair and beauty industry were looking to hire someone, do you think they’d struggle to attract talent? Or would they instead be receiving an incredible amount of applications? The higher your profile within your community, the easier it becomes to hire people. For more tips on attracting and hiring talent, click here. If you walk your talk, you’ll want to also elevate your employees’ statuses, introduce them as experts and provide them with opportunities to better their skills. This could be as simple as offering training classes to bringing some of them with you at networking events and such. Sure, it’s your salon or spa, but where would you be without your staff? It’s important that you value them, know what their goals are and help them achieve these goals. Do they want to get better at colour? Do they aspire to open their own salon? 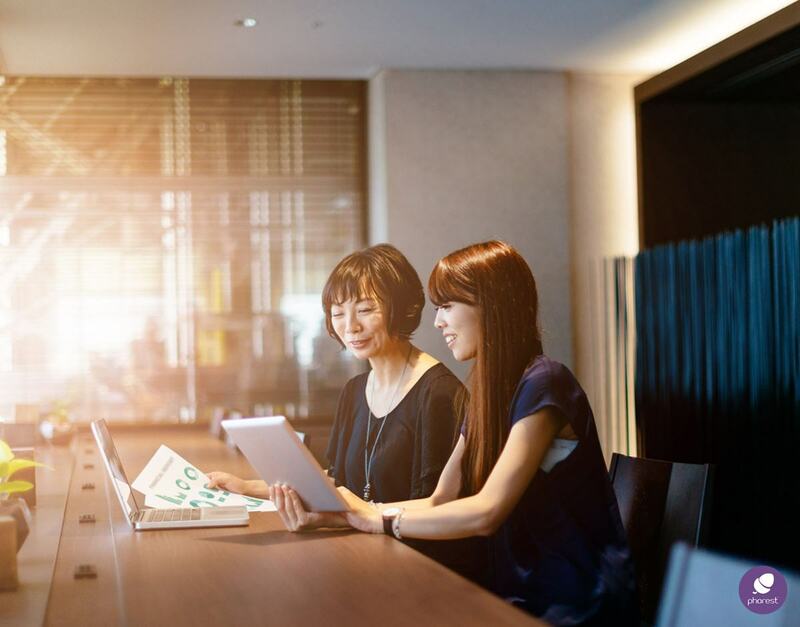 The minute you find out what makes your employees passionate, you’ll have the key to keeping them engaged with your business. For more tips on staff engagement and retention, click here. It’s said that it cost 10x more to attract a new customer than to retain one. And while this most salon owners’ reality, I’m willing to bet that if the same research was done amongst famous salon owners such as Tabatha Coffey, for instance, the ratio would be much lower. For us at Phorest Salon Software, retaining clients and building loyalty towards the brand has always been more important than gaining new clients. That being said, boosting your salon profile will by itself, generate business. Popularity and word of mouth still play a crucial part in people’s purchasing decisions. For more tips on client retention, click here. Having an influential salon profile can help make things smoother when it comes to opening a second location for your salon (your reputation will precede you). You’ll still have to market the new salon or spa branch, but at least you’re giving yourself a head start on getting your brand known in the new town or city. More than that though, your status can open up entirely new opportunities such as funding, appearances on TV and/or radio shows, book deals and even partnerships! It’s well worth it if you ask me. Is your salon ready for a second location? Find out here. Click the image to sign up for this webinar on February 5th, 2018. As you can see, getting your name out there and building a strong salon profile can have a positive impact on your business in the long run. But what are concrete ways to do all of this? There is no time like the present isn’t there? Which one of these areas would be of most interest for you to try out? How about this week, you select one of these ideas and see if you can put it into action in the coming month? Featured imaged shot on location of Wildflower Creative Group, in Dublin. © 2018 Phorest Salon Software. This post was originally published in August 2015 and has been updated for accuracy and comprehensiveness.